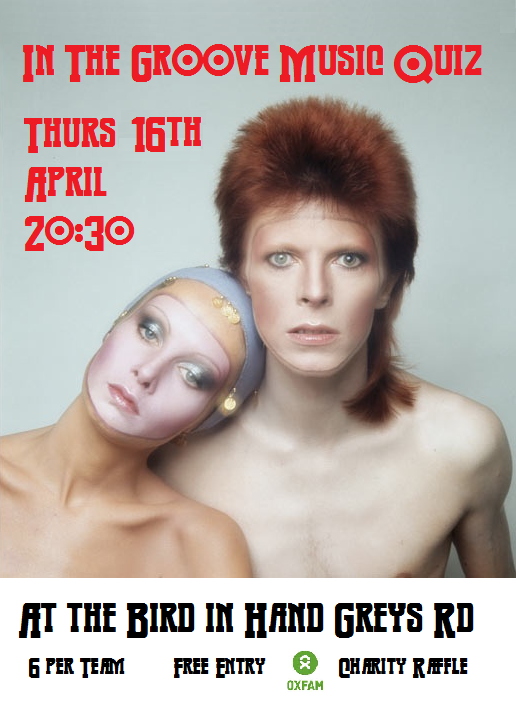 The next In The Groove Music Quiz takes place on Thursday 16th April at 20:30. It's been inspired by David Bowie's 1973 LP of cover versions of some of his favourite songs of the 1960s. Good luck and Love on Ya.